Delhi is home to grand weddings. The city glitters like a bride on key mahurat dates. Thus, it is a bit difficult to find a desirable venue for your wedding. Venue is one critical aspect for a wedding to be successful as it sets the tone for your celebrations. 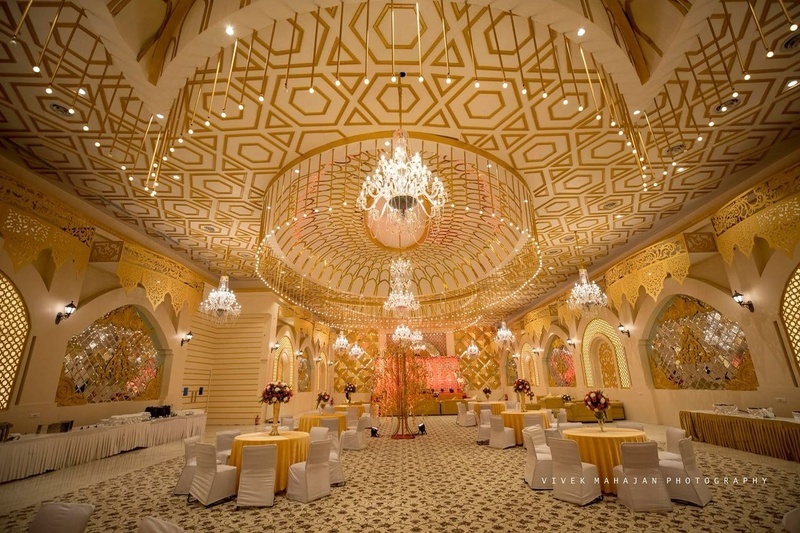 So, we are here with our best picks of wedding venues in Delhi. The Claremont Hotel and Convention Centre, Aya Nagar, Delhi is a great venue to host your wedding and reception ceremony. It is located near Arjangarh Metro Station and on Mehrauli Gurgaon Road which makes it convenient for all to reach there. Claremont Hotel Delhi serves mouth-watering multi-cuisine delicacies to choose from in both vegetarian and non-vegetarian food to their guests. You need not worry about your guests who come a long way to attend your functions as the venue offers them a comfortable stay. Hotel Claremont MG Road has a lush green lawn that is ideal for an open-air function. This lawn can fit in a large crowd for your functions. Hotel Claremont Delhi also has a banquet hall that is best for having indoor events. The venue stands tall as a perfect blend of luxury and modernity. Radiance Motel, Chattarpur, located in South Delhi, is a spacious venue with beautiful interiors and amazing aesthetics. The exquisitely lit banquet halls and vast lawn making it a perfect location for hosting different kinds of wedding ceremonies. Radiance Banquet Chattarpur has party areas named Ballroom and Crystal Room that are ideal for an intimate wedding with a medium scale crowd. It has a lush green lawn, Meadow that can accommodate a huge crowd, making it ideal for hosting a lavish reception and wedding ceremony. Radiance Chattarpur Delhi serves a wide range of delicacies to choose from in both vegetarian and non-vegetarian food to their guests. The catering consultants provided will work closely with you to ensure that your culinary experience is profound and suitable for you. The decor team takes care of the decoration for your big day allowing you to sit back to enjoy your function. Lemon Tree Hotel Sector 60, Gurgaon, Delhi, is equipped with modern state-of-the-art facilities and is specially designed to give your wedding party a fresh makeover. Lemon Tree Sector 60 in Gurugram offers a refreshing setting with stylish interiors and hospitable services that make it an ideal location for weddings, parties and corporate functions. Hotel Lemon Tree Gurgaon Banquet Hall has arrangements for catering and decoration to help you make hassle-free arrangements in no time. The banquet hall, Tangerine Grand at Sector 60 Lemon Tree is huge and can hold a large gathering. It is an elegantly designed banquet hall, which is Air-Conditioned to keep your guests comfortable irrespective of the weather conditions outside. The other hall, Tangerine is apt for functions that have a mid-sized gathering. The staff here at Lemon Tree Hotel, Gurgaon makes sure that all your functions are well-organised and smooth. Golden Tulip Suites, Gwal Pahari, Delhi is an ideal venue to host your pre-wedding functions, wedding and reception ceremony. It is located on Gurgaon-Faridabad Road which makes it easily accessible for all to reach there. Golden Tulip Suites Gurgaon Gurugram, Haryana serves flavoursome delicacies to choose from in both vegetarian and non-vegetarian food to their guests. You need not worry about your guests who come a long way to attend your functions as the venue offers them a comfortable stay. Golden Tulip Gurgaon Gwal Pahari has multiple party areas that make it easy to have different functions at the same venue. It has a spacious banquet hall that can accommodate a huge crowd for your function. Golden Tulip Suites Delhi has a lush green lawn and a poolside lawn that is great for an open-air function under the starlit sky. The venue has an inviting ambience which makes your guests feel welcomed. The elegant décor of the Golden Tulip Gwal Pahari Gurgaon makes it an ideal option for grand weddings. S L House Malviya Nagar, Delhi, located near Hauz Khas Metro Station and Malviya Nagar Metro Station, is great for hosting a grand wedding ceremony. The venue serves mouthwatering multi-cuisine delicacies to choose from in both vegetarian and non-vegetarian food to their guests. SL House Malviya Nagar Delhi is a self-decorated venue and only a little addition of decor will create a vibrant atmosphere. The in-house decor team at Essel House Malviya Nagar can take care of the decoration for your big day. S L House Banquet serves alcohol and also allows you to get it from outside to please your guests. It offers ample car parking space and valet parking service to their guests for their convenience.